Whatever you may think concerning how much Jay-Z has exhausted himself describing the events of his own life, self-praising and introspection, this artist is always ready to offer you a new portion of hard-core and mainstream rap. The 39 year old rapper rarely reveals his lyrical side in his songs, tending rather to tough street life stories, gangsta realities and always remains inexorable in his judgments. 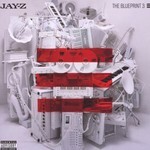 As for Jay-Z’s discography there are several album sequences in it, and The Blueprint is one of them: the first album with this title was released exactly 8 years ago, then The Blueprint 2: The Gift & The Curse followed in 2002 and finally this year the artist releases the last one The Blueprint, Vol.3, closing trilogy. Both of the first two creations proved to be quite successful, receiving the critics’ warm welcome and justifying themselves commercially, so this time Sean Cory Carter has faced rather a serious task. Naturally as always the rapper has fulfilled it brilliantly: The Blueprint, Vol.3 has resulted to be impressively innovative, futuristic and confident as the absolute majority of one of the main contemporary hip-hop industry representatives Jay-Z’s works. Even without listening to The Blueprint, Vol.3, simply looking at the play-list one can check out that some renowned vocalists willingly work with Jay-Z and refine the greatest part of the album with their presence. Thus, the album opens with What We Talkin' About (featuring Luke Steele Of Empire Of The Sun), surprising at once with the unusual beat, memorable samples, while a classic street track here is D.O.A. (Death Of Auto-tune), it is the hard-core rap as it should be like. Rihanna and Kanye West join the artist on Run This Town, the track on which pop music, hip hop and R&B are mixed in a hot cocktail, making it one of the record’s brightest moments. The rapper himself prefers the song Empire State Of Mind to the others. It is refined with Alicia Keys’ vocals and can boast not only a very successful beat, but also an experimental accompaniment and memorable lyrics and chorus. The song Real As It Gets featuring Young Jeezy also pleases with a great arrangement, whereas Swizz Beatz has added more colors on a bit aggressive composition On To The Next One. Another notable number is A Star Is Born (featuring J. Cole), it is sure to linger in your mind for a week after listening due to the simple lyrics on chorus. Kid Cudi joins Jay-Z on another highlight Already Home with successful samples, and Pharrell’s vocal please on the song So Ambitious, perfect for a hot dance. The album closes with Young Forever featuring Mr. Hudson, the song is based on the famous 1980s song Forever Young, so it is definitely going to become a hit taking into account today’s popular trend of remaking the old songs. The eleventh album is not a joke but a worthy continuation of all the works of a rapper with experience and huge influence. Practically all the songs on The Blueprint, Vol.3 last a bit longer than 4 minutes and please with a clear structure, contagious beat and Jay-Z’s expressive performance which can be confused with anybody else’s. It is worth while paying a special attention to the production. The choice for producing the entire album was between Kanye West and Timbaland, the latter has even made an official announcement that it would be him, but in the end he produced only three tracks on The Blueprint, Vol.3 and the rest was produced by West. Yet it goes without saying that Jay-Z plays the leading part on the album, his recognizable rapping refines even the least successfully produced tracks, such as for example Reminder – you will hardly lose anything skipping it. Nevertheless there is a minimum of such songs on the record, and in the rest of cases it can boast great original arrangements that make it clear: with all that Jay-Z has achieved for now he is still looking for a new stylish sound and does not fail in that.